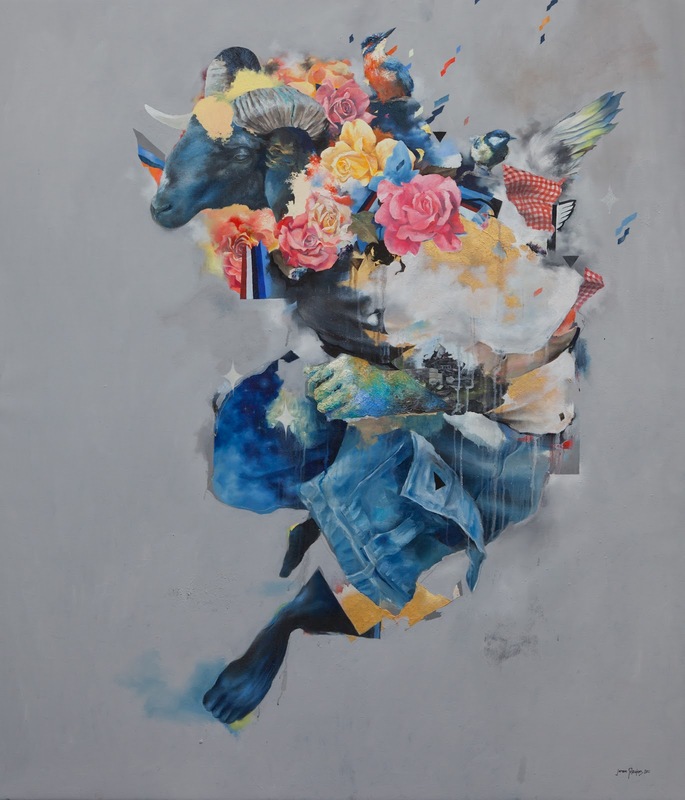 Joram Roukes is a very special young artist whose elaborate paintings seem to encapsulate, in an intriguingly oblique way, the sense of a fractured society. To achieve this, the artist’s aim has been to combine technical and stylistic elements to his paintings that are disconcertingly complimentary and contradictory. For example, the frequent use of anthropomorphic imagery in his work, at times points to lost innocence and vulnerability, but can also be a metaphor for violence and anger. The result is a unique style, both powerful and sensitive. His recent work looks like a combination of painting and collage but in reality, the whole work is painted. Comparisons are naturally drawn with the celebrated English painter Glenn Brown, whose work gives the illusion of a turbulent and painterly application, but has in fact a totally smooth surface. Despite the eclectic references and trompe l’oeil effects, Roukes’ still defiantly celebrates in his works, the age-old act of painting with oils. Joram has shown extensively in the Netherlands and in Copenhagen. This will be the third time his work has been seen at Signal and his first solo show in London. Ahead of the show opening, Signal Gallery are also offering you the opportunity of winning a SIGNED PRINT from the artist! 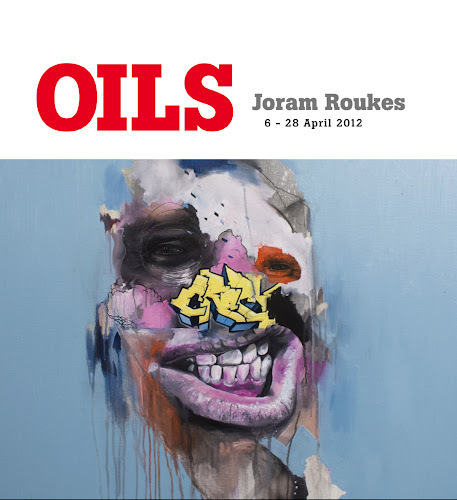 Do you have the skills to give colour to an original Joram Roukes' drawing? Give it a try for a chance of winning a signed print of your collaboration with Joram! All the info you need can be found on their facebook page here. Go get creative!